Finding a graphic design artist who takes your project and brand as seriously as you do can be a challenge. 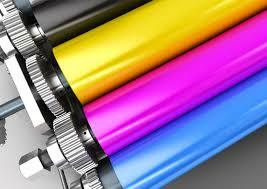 Farley Printing employs some of the area's best graphic designers. We design everything from logos, stationery, flyers, pamphlets, postcards to banners and signs and much more. Our mindset is one of intense passion and that is evident in the way we approach each and every project, from concept to completion. When looking for long term design solutions, look no further than the Farley Printing graphic design team.